Handling serious injury cases, the Law Firm of Jonathan D. Light, P.C. 's practice is fine-tuned in a number of areas. Please click on the links below to learn more about each type of case. 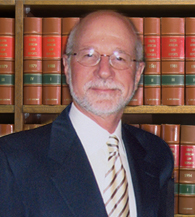 Personal injury cases often involve varied and complex types of injuries. Attorney Light's experience allows him to effectively handle cases with the most serious and complex personal injuries, including head and traumatic brain injuries; spinal cord, disc, orthopedic and neurological injuries; Reflex Sympathetic Dystrophy (RSD); scalding; burns; and fatal injuries. Click here for examples of the types of injuries that may be involved in a personal injury claim. If you have sustained injury in any of these areas or suffered these types of injuries as a result of another party's negligence, contact the Law Firm of Jonathan D. Light, P.C. online or call the Boston law office at 617-245-0220 today to schedule your free initial consultation.